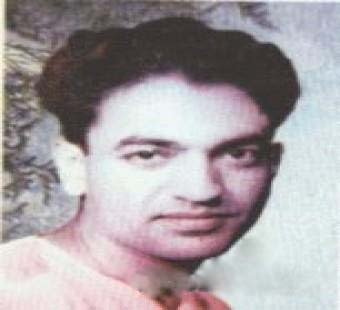 Shiv Kumar Batalvi (8 October 1936 – 6 May 1973) was a Punjabi language poet, who was most known for his romantic poetry, noted for its heightened passion, pathos, separation and lover's agony. He became the youngest recipient of the Sahitya Akademi Award in 1967, given by Sahitya Akademi (India's National Academy of Letters), for his epic verse play based on the ancient legend of Puran Bhagat, Loona (1965), now considered a masterpiece in modern Punjabi literature, and which also created a new genre, of modern Punjabi kissa. Today, his poetry stands in equal footing, amongst that by stalwarts of modern Punjabi poetry, like Mohan Singh (poet) and Amrita Pritam, all of whom are popular on both sides of India-Pakistan border.